Focusing on regenerative medicine (regeneration, replacement and repair), The Wallenberg Centre for Molecular Medicine at Lund University, WCMM LU, is a part of a national effort to reposition Sweden as a world-leading life science nation. Please don't hesitate to contact the WCMM LU Director Gunilla Westergren-Thorsson if you have any questions. One research positions at the level of Associate Senior Lecturer (Assistant Professor) is now open within the Wallenberg Centre for Molecular Medicine at Lund University (WCMM LU). 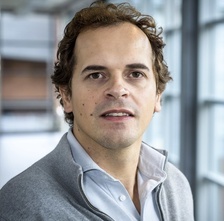 For the first time, a research team at Lund University, led by Wallenberg Molecular Medicine Fellow Filipe Pererira, has successfully reprogrammed mouse and human skin cells into immune cells called dendritic cells. The process is quick and effective, representing a pioneering contribution for applying direct reprogramming for inducing immunity. Importantly, the finding opens up the possibility of developing novel dendritic cell-based immunotherapies against cancer. “This is a first step on the way to generating fully functional blood stem cells in a petri dish which, in the future, could be transplanted into patients with blood diseases”, says Filipe Pereira, Wallenberg Molecular Medicine Fellow at Lund University who led the study now published in Cell Reports. 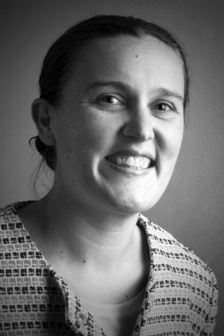 WCMM Molecular Medicine Fellow Darcy Wagner, a researcher at the faculty of Medicine, is one of the talented early researchers who have been awarded with the ERC starting grants. The award is for her research on ”Bioengineering lung tissue using extracellular matrix based 3D bioprinting”. The ERC Starting Grants is a grant from the European Research Council for early researchers from all over Europe within different research areas. This year the competition was high with 3107 applications, and among them 403 talented researchers were awarded with up to 1.5 million euro each. Establishing nationally integrated research environments in cooperation with the national health care, pharmaceutical and biotech industry will promote world-leading research in molecular and translational medicine in order to improve human health. During the coming 10 years, 10 young researchers will be recruited to tenure track positions within the WCMM LU program. Each researcher will be appointed a generous career package to establish their research teams. At the same time the regional health care organisation, Region Skåne, appoints one half-time clinical researcher integrated to the selected research specialisation. The Wallenberg Centre for Molecular Medicine at Lund University is supported by Knut and Alice Wallenberg Foundation. The four Wallenberg Centres for Molecular Medicine are key elements in a national effort to reposition Sweden as a world-leading life science nation. The initiative was taken by the Knut and Alice Wallenberg Foundation, and is a joint venture with the Universities and University Hospitals of Gothenburg, Lund, Umeå and Linköping. SciLifeLab in Stockholm and Uppsala serves as a unique research collaboration part and core facility for the four Centres.